Learn Spanish, French, Greek and Hebrew by diving into a classic story with a silly twist. 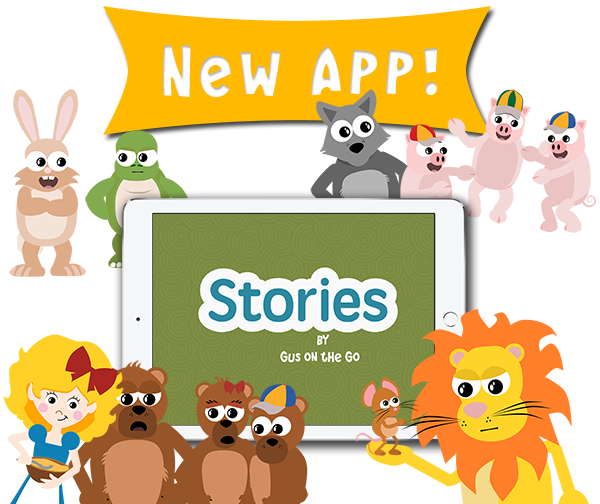 Meet new characters, make them move and explore a new language with a fun and familiar story. Download our language apps for free! 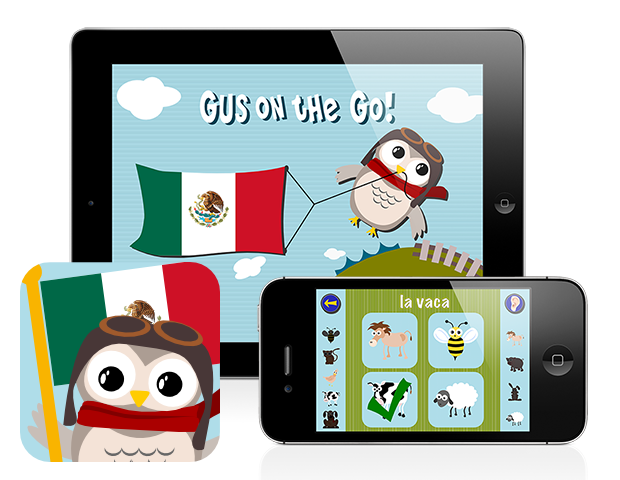 Explore a new language with the original Gus on the Go language app! With 10 interactive lessons, engaging vocabulary reviews and delightful games, learning a new language has never been this fun! Available now in 30 different languages in the App Store, Google Play and Amazon. Gus on the Go now works with native speakers of vulnerable and endangered languages to help preserve language diversity. The following language apps are available for free.